Seriously….this collection is incredible! I am so unbelievably excited to take you on a sensory journey that will have you dreaming about this collection! Too much? 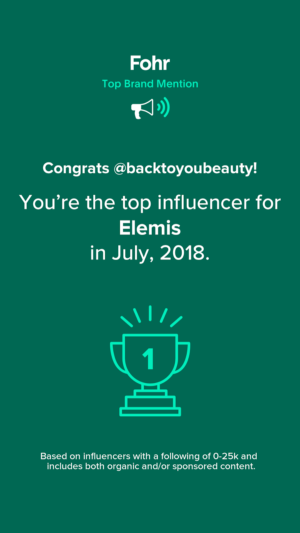 Hahaha ok, you KNOW I am a huge Elemis Fan, it’s the brand I have remained loyal too for over 20 years, I am also my happiest when I am by the Sea, so this Collection is my dream collection of products! 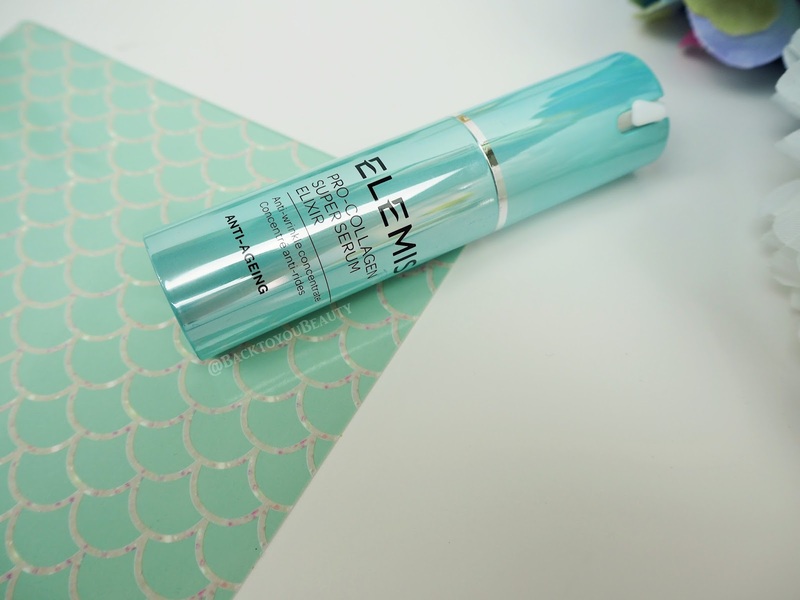 The Elemis 6 piece Pro-Collagen Science of the Sea Collection not only looks and smells absolutely incredible, but is suitable for every skin type. Lets Sea ( see what I did there?) 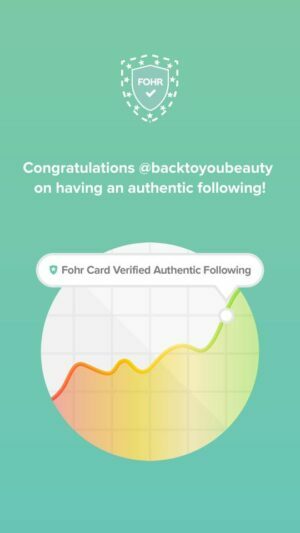 what is included and how each product performs. I know so many people are scared of foaming facial washes for fear of them being stripping and drying. 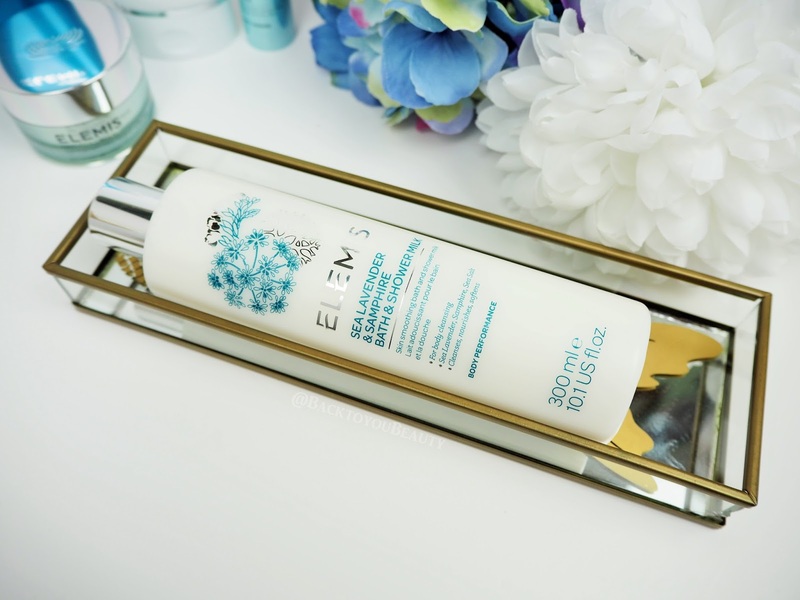 It is true some do leave the skin feeling parched due to the poor ingredient quality and whilst my dehydrated skin always prefers an oil or balm cleanser, there is space in the routine for a foaming cleanser if I am in a hurry. Whether you are using morning or evening this does offer a really gentle, yet deep cleanse that removes pollutants, SPF, make up, grime and any excess oil. It was thicker than I expected as I squeezed it out of the tube, but was easy to massage over my skin. It has a beautiful uplifting scent due to the inclusion of lemon, sweet and bitter orange, ylang ylang and petitgrain. It also contains fig (which I could smell in the background) and apple amino acids, and oils which help soften the skin. Easy to use, you massage over dry skin and then add water to create the lovely soft foam. I did not use this to remove mascara as I didn’t want to get it in my eyes but did take it over my lids. After it has been massaged in, rinse and wipe off with a clean flannel. You can see how gentle the foam is from the photo above. This would always be my first cleanse on a double cleanse and then I would add my Cleansing balm after. It does leave the skin clean and soft and ready for toner. If you enjoy Foaming washes you will enjoy this. 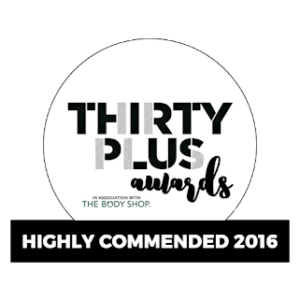 When I am not trialling other serums, this award winning serum is what I use on a day to day basis and have done for a couple of years now. This Super Serum is beautiful. Containing the unique blend of intelligent bio-actives of Anti-Ageing Tri-Peptides, African Birch Bark, Red Seaweed and Padina Pavonica, Hyaluronic Acid, combined with omega-rich Camelina oil, my skin looks amazing! I have been using one pump twice a day after cleansing and before moisturising! It has the most beautiful, calming smell and glides easily over my face leaving it feeling Satin Smooth! 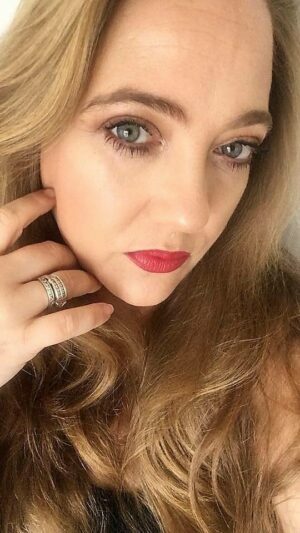 I absolutely have noticed a difference in my fine lines around my eyes and lips. I always have this on repurchase as I am addicted. I highly recommend this if like me you have dry skin as it hydrates beautifully. For those that mention I don’t have many wrinkles, I would happily put it down to using this product the past few years. Firstly I love the smell of this product, it is so beautiful and spa like that I have to stop my self from smothering my whole body in it! This night cream glides on like an absolute dream and sinks quickly into my skin leaving no residue or roll off. It does not stick to the pillow and is so cooling and feels fresh and light on the skin. It works by replenishing Oxygen in the skin, improves elasticity and targets premature signs of ageing. When I wake up my skin has a beautiful sheen, is soft, plump and hydrated. As I am getting older, I am 42 now, my skin can look grey really quickly, I find that when I use this on a regular basis it literally breathes new life into my skin and makes it look nourished and fresh upon awakening. Now, I am super excited to tell you all about the beautiful BRAND NEW aromatics from Elemis. If like me you love the Salty Sea Air, the feeling of positivity and the energy that it gives, I really think you will enjoy the scent of these products. Each product has it’s own little spin on the scent (I feel) which means they layer perfectly without being overwhelming. I am so, so excited about this product. 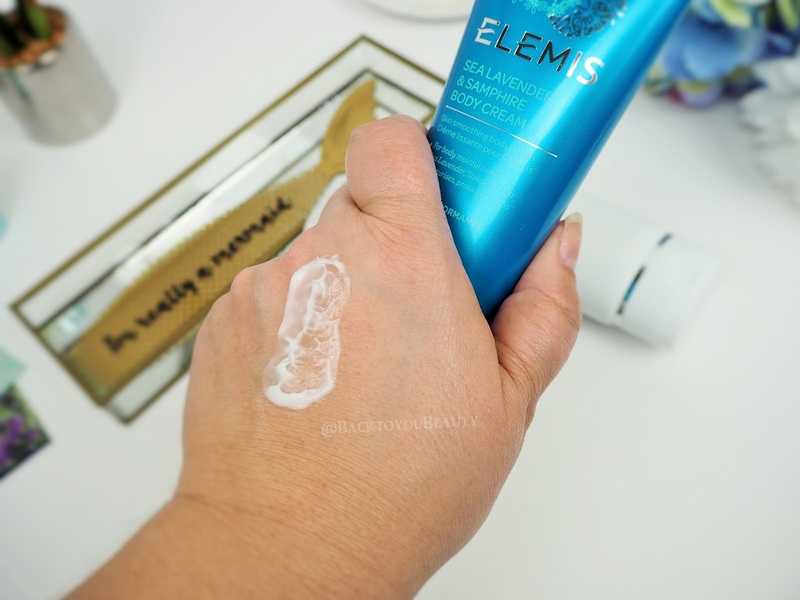 If you already really enjoy the Elemis Skin Nourishing shower cream, you have an idea of how this product feels on the skin although it is a little lighter in texture. The moment you smell this intoxicating scent you will be whisked away to a beautiful sunny day, walking along a glorious beach with lavender along the beach wall and sea salt in the air. This scent just makes me so happy, it is refreshing, inspiring and uplifting and absolutely perfect for the promise of sunny Spring and Summer days. If you do not like lavender I find this product only has a hint of a warm floral but not the lavender we are used to. 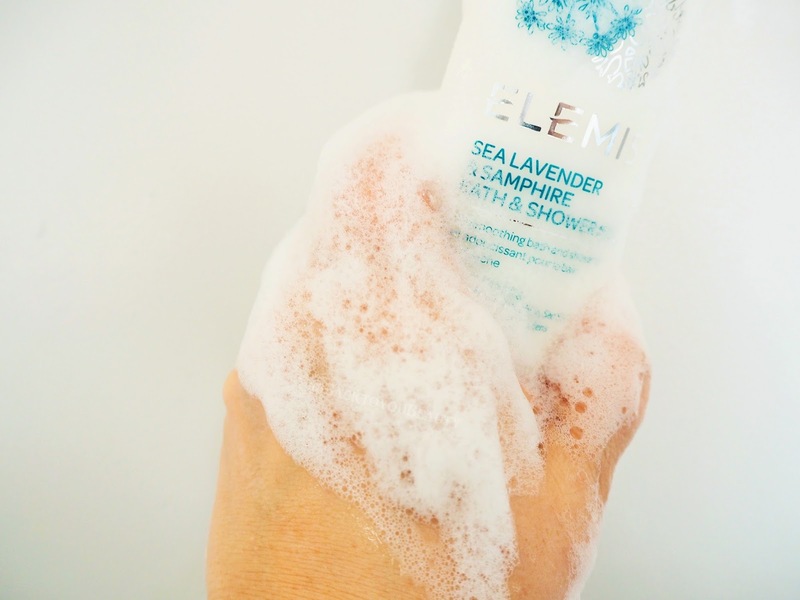 Sea Lavender grows in muddy beach pools and flowers in bright blue, lilac and pink. It flourishes in harsh conditions and is resistant to dehydration meaning it offers a nourished feel to the skin. Samphire is the edible coastal plant that is amazing for its vitamin C properties and mineral content. Together these protect against free radicals, offer the skin a deep cleanse, and an uplifting shower experience! It comes in a very pretty bottle with flip top lid. Apply over your wet body in the shower and experience the delicate, soft foamy bubbles or add 2-3 capfuls to a lovely warm bath. Bliss…. Full of the same benefits included in the shower milk above, this body cream feels incredibly light and fresh on the skin. Containing Macadamea Oil it leaves the skin looking hydrated and nourished and feeling soft. I have quite hairy arms…don’t judge…but this massages in quickly and easily. The scent it leaves behind on me is a beautiful citrus Sea Salt that I can only liken to the Yankee Candle Beach Walk scent which is a favourite of mine. If you struggle with dry hands because you are constantly washing them, always busy and on the go, then this is deeply nourishing and gives you a waft of that gorgeous uplifting scent each time you use it. 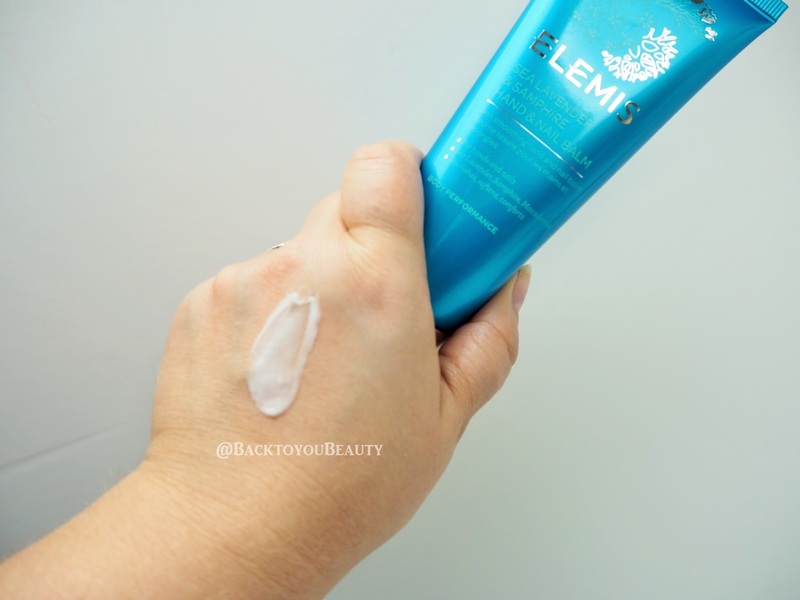 Incredibly light on application, doesn’t leave the hands sticky and I smell more citrus than sea salt in this product which is lovely as it means I can layer the products perfectly without them being overwhelming. Beach Bag – The collection also includes a blue and white Elemis Branded beach bag which is perfect as a shopping bag if you don’t frequent the beach, or also great for storing products in. My thoughts on this collection – Firstly, this is an incredibly unisex collection. You can also easily break this down into a skincare and body care collection for gifting. The Face products are suitable for all skin types including acne prone and sensitive as the Pro-Collagen Night Cream it great at soothing and calming skin that needs it. If you are seeing those fine lines and wrinkles popping up, the products have been proven to plump out lines and wrinkles and hydrate them, making them look less prominent. The body care products really are full of beautiful aromatics and are uplifting, fresh and bright and smell incredible of the beach and Sea Salt and citrus. They also offer full level hydration and comfort to the skin and give a great pampering experience. 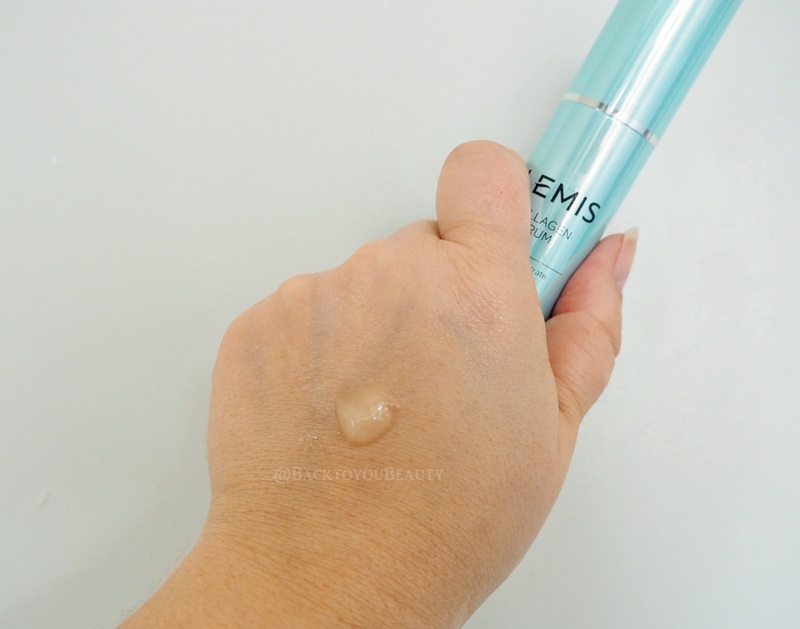 Look, its Elemis…what more can I say? If you prefer different Elemis scents check out the 6 Piece Gift of Great Skin Collection. 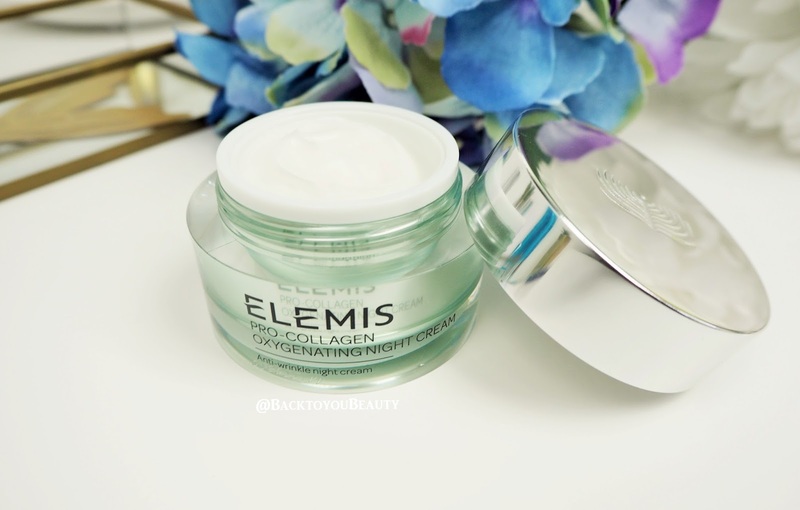 "Doll 10 Glow All Out 6 Piece Collection – Qvc Spring Tsv"
"March Beauty Discoveries – Skincare and Make up"
I'm a huge fan of Elemis. My first ever facial was their Fruit Active one and I've been in love ever since. This looks like a lovely collection of products. Many thanks for the heads up, it looks a fabulous collection! Have just ordered mine – made even better with 4 easy pays!